Did you know that most of the computers on which you deploy applications have more power in the GPU on the video card than in the CPU, even multi-core machines? Harnessing the power of the GPU is the next step in the manycore/multicore revolution and can mean astonishing improvements in execution time. Depending on how data parallel your calculations are, you might see a speedup of 5, 10, or even 50x! Imagine a calculation that takes a month today completing in half a day instead. Until recently, running code on the GPU has meant using one of several "C-like" languages. The upcoming release of C++ AMP means that you can use accelerators like the GPU from native C++. Visual Studio 11 includes debugging and profiling support for C++ AMP, and you don't need to download or install any new libraries to accelerate your code. In this webcast presented by Kate Gregory, author of Accelerated Massive Parallelism with Microsoft Visual C++®,she will show you the power of C++ AMP and you'll learn the basic concepts to adapt your code to use this massive parallelism. 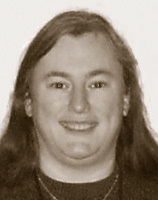 Kate Gregory has been using C++ for over twenty years and is well-known as an enthusiastic instructor, speaker, and author. Managing, mentoring, technical writing, and technical speaking occupy much of her time, but she still writes code every week. Kate is the author of over a dozen books and speaks at DevTeach, TechEd (USA, Europe, Africa), and TechDays, among others. Kate is a C++ MVP, a founding sponsor of the Toronto .NET Users Group, the founder of the East of Toronto .NET Users group, and a member of adjunct faculty at Trent University in Peterborough. Since January 2002 she has been Microsoft Regional Director for Toronto and since January 2004 she has been awarded the Microsoft Most Valuable Professional designation for Visual C++. In June 2005 she won the Regional Director of the year award and in February 2011 she was designated Visual C++ MVP of the year for 2010. Her firm, Gregory Consulting Limited, is based in rural Ontario and helps clients adopt new technologies and adjust to the changing business environment.